Call the office for your appointment. We will send you the forms you will need to fill out before your first appointment. Bring those forms with you on your first visit. If you have recent x-rays from another Chiropractor, please have a copy with you, as well as recent lab testing. Wear loose fitting clothes, preferably not jeans for your ProAdjuster treatment. If you do not have x-rays, there is a possibility that this visit will require a few, depending upon your Doctor's physical and orthopedic exam. 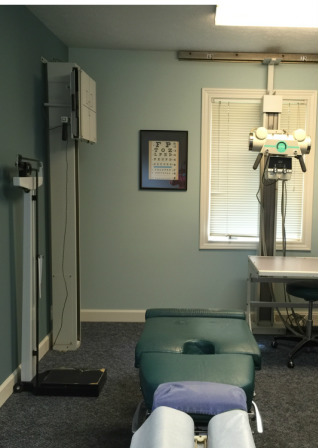 You first visit will require more time, due to the extra time it takes to do the physical exam. Plan on additional follow up visit for the Report of Findings. This visit will cost approximately $80-125. Follow up visits are generally $35.